yepp! works on windows! thanks! Thank you for the brush reset. You made my day!!! 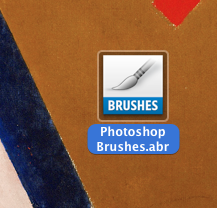 Where do I find the command “Replace Brushes”? open the Brush Presets palette (under Window – Brush Presets). In the top right corner of that palette you’ll find a small triangle with some lines next to it. Click that and you’ll a large (and intimidating) context menu appear. You’ll have options to load brushes and append them to the existing presets, load default ones, save the current ones, and an option to replace your current brush presents.